The mancave-like lower level of Hill Country Barbeque in New York City was the perfect setting for the 2015 Outdoor Sportsman Group Upfront presentation Wednesday night. It didn't feel like a stuffy upfront. It was essentially a party filled with media buyers and execs. Kroenke Sports & Entertainment subsidiary, Outdoor Sportsman Group is made up of the Outdoor Channel, Sportsman Channel and World Fishing Network. The three networks cater to the 130 million-plus Americans who partake in outdoor adventures such as hunting and fishing. As jalapeño sausage and pulled pork tacos were passed around, a karaoke band played, and a programming sizzle reel played on the bar TVs. The only "upfronty" part of the event was when evp of ad sales Jason Brist addressed the crowd during a brief pause in the music. He explained viewers of the three networks are diverse, passionate and have spending power. "You can't 'buy around' our highly engaged audience," Brist said. "We've made dramatic strides in elevating our audience's experience, on-air, online and on-the-go, and have created smart, ROI-driven marketing opportunities that truly resonate with those that choose to make outdoor pursuits a way of life," he said. 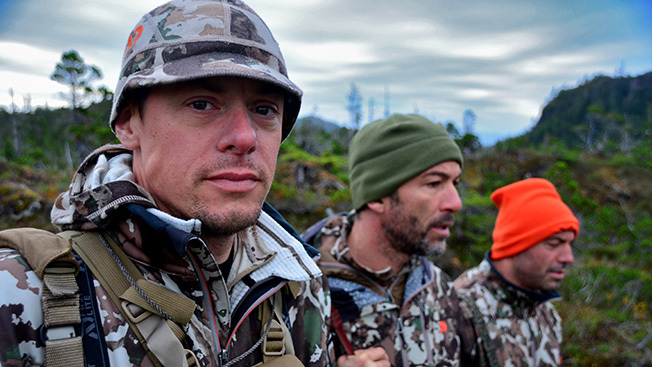 Outdoor Channel is in nearly 40 million U.S. households. Sportsman Channel reaches roughly 34 million homes. The World Fishing Network has the smallest audience among the trio, reaching 8 million homes. "As the TV Upfronts marketplace has evolved from a TV-only fare to a content-driven arena, we feel bullish about our position. [We] have the best brands to access outdoor adventure content – in all of media – not just TV," Brist said. Later, as red velvet cupcakes were passed out, backpacks stuffed with branded fishing gear were auctioned off. Then, the karaoke began. The party went past the scheduled end time of 10 p.m. ET.